Blogging, Homeschooling Mother of 4. Juggling it all. Disney’s “Million Dollar Arm” begins production. Film shooting in India, Georgia and Los Angeles. Disney has a new film, “Million Dollar Arm” staring Mad Men’s Jon Hamm that just began production. The film will open in 2014. Burbank, Calif. (May 30, 2013) Principal photography has begun on Walt Disney Pictures’ “Million Dollar Arm,” starring Jon Hamm. Directed by Craig Gillespie (“Lars and the Real Girl,” “Fright Night”), the film is produced by Mark Ciardi and Gordon Gray, through their Mayhem Pictures, and Joe Roth, under his Roth Films banner, with Palak Patel and Kevin Halloran serving as executive producers. Tom McCarthy (“Win Win,” “The Visitor”) wrote the screenplay. The film also stars Bill Paxton (“Haywire,” “Hatfields & McCoys”), Lake Bell (“What Happens in Vegas,” “It’s Complicated”), Suraj Sharma (“Life of Pi”), Aasif Mandvi (“The Daily Show,” “Margin Call”), Madhur Mittal (“Slumdog Millionaire”), Pitobash (“Three Idiots,” “Shanghai”) and Academy Award®–winner Alan Arkin. A.R. Rahman (“127 Hours,” “Slumdog Millionaire”) is scoring the film. “Million Dollar Arm” will shoot on locations in India, Georgia and Los Angeles. Dawn is a stay at home, homeschooling mother of 4. She writes for Blogging Mom of 4 and Family That Games. They have so many great movies! I will definitely be checking this movie out! 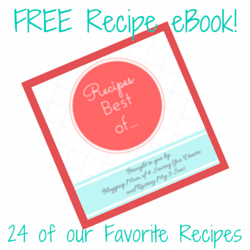 Subscribe to BMO4 and get a FREE Recipe eBook!